There are many great TV deals online right now. Popular tablets and gaming consoles also can be purchased at a discount. 4K, Ultra HD, 2160p and smart. If that made you grin this holiday season, you're probably like Sherry Kehr. 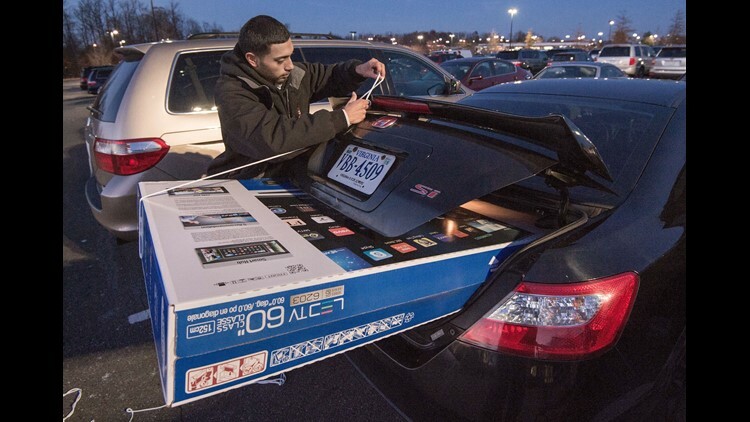 The Kathleen, Georgia resident has a new TV at the top of her wish list. "A new flat screen 65 inch tv please lol," Kehr recently wrote on Facebook. Fortunately for Kehr's friends and family - as well as Kehr and others with similar wish lists - there are many great TV deals online right now. Popular tablets and gaming consoles also can be purchased at a discount. Here are 22 TV, tablet and game console deals. All of the products linked below were either requested by our Facebook fans or are highly-rated by shoppers. Some deals may require an Amazon Prime Account. Don't have a Prime Account? Don't worry - you can sign up for a free 30-day trial here. These deals were active and in stock as of 6:30 a.m. EST Tuesday, Dec. 12. Ian Hill is a former journalist and manager for TEGNA, the company that owns this station. TEGNA’s e-commerce team has curated on this page some of the gifts our Facebook community said they wanted this holiday season. Neither TEGNA’s journalists nor advertisers were involved in the selection of the products featured here nor the creation of any content on this page. We may receive a share of the revenue from the site that sells the product if you purchase one of these products using the link on this page.